This research provides a comparative analysis of open budget portals in the context of budget transparency. 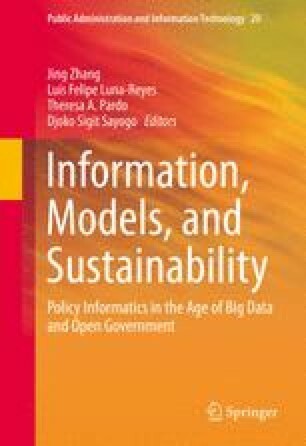 Specifically, we examine open data portals in the Ministry of Planning, Budget, and Management in Brazil and the Finance Ministry in Kyrgyzstan. We utilize interviews with public administrators, archival information, and an analysis of the portals. Furthermore, we use Meijer’s 2013 transparency theoretical framework to assess the relationship between budget portals and transparency in Brazil and Kyrgyzstan. The paper finds that both jurisdictions face similar challenges promoting online disclosure, including a lack of infrastructural development and a limited use of portals by the public. Although centralized online budget disclosures have not promoted a sense of transparency across the broader public, the media has used these disclosures effectively. This has led to a wider public discourse on budgeting in both countries. The authors highlight the specific roles played by the Open Budget Index and international players in advancing and sustaining budget transparency in these countries. Could you please tell me who you are, what your role is in the web portal project, and how long you have been working on it? Could you please tell me about the history of this project, how it began, and what motivated the ministry to launch the open data portal? How does the financing for the project work? Who finances the project? How many people are involved? Do you keep track of who and how many people use your web portal? How would you characterize the primary users of your portal? Is it designed primarily for the use of NGOs, administrators, or residents? Do you have any statistics on users that you could share with us (average user, etc.)? How do you work with other ministries and local governments to distribute the information on the portal? What are some challenges in promoting this portal? How do residents perceive the portal? Do you think the average person living in this country is aware of the portal’s existence? How often do you update the portal and how useful do you think the portal is for average residents? Do you think average residents understand how to use the portal? Could you elaborate on this? How expensive is it to maintain the portal and what are future plans for it?